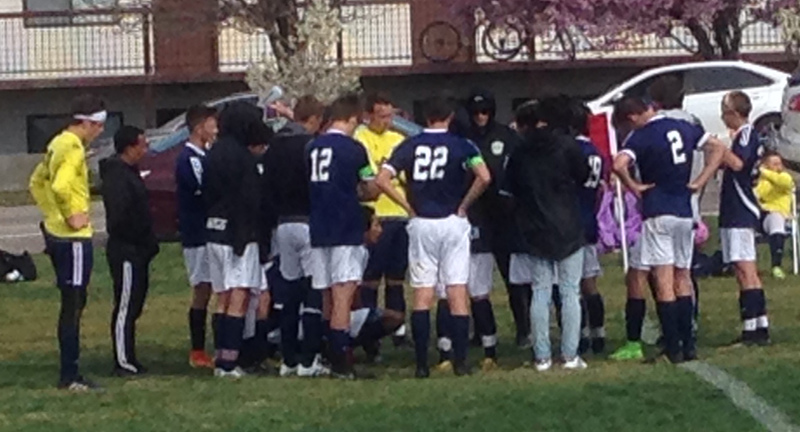 CEDAR CITY – It took two overtimes, but Snow Canyon finally broke the tie early in the second overtime on a goal by Max Kemp to knock off Cedar 2-1 in the Region 9 opener for both teams. The score was tied at the half thanks to a couple of big errors on the defensive end for both teams. Warriors head coach Marc Wittwer was thrilled to pick up the road win to start region. Cedar head coach Scott Kamachi was happy with the way the team played in the loss, especially considering team leader Ethan Fletcher left with an injury in the first half after colliding with SC keeper Quinn Hargis and had to get six stitches in his chin. A little later, Cedar keeper Jake Rehkop fell hard and broke his finger on his dominant hand. The Redmen came out strong, keeping good possession and challenging the heart of the Warriors’ defense, but a Snow Canyon cross led to a penalty kick as opposing players collided going for the header. Kolton Barber put it away in the left corner. Cedar’s keeper, Rehkop, dove toward it, but couldn’t quite stop it. A few minutes later and just before halftime, Snow Canyon’s keeper lost control of the ball and Cedar’s Abe Brower capitalized by putting it in the back of the net. “That was a really bad error. That happens,” Wittwer said. 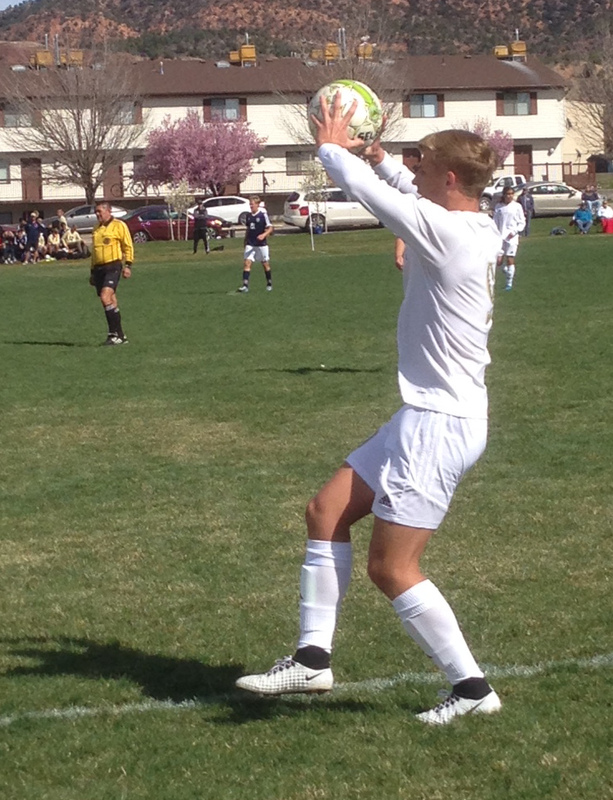 Snow Canyon came out strong in the second half, but couldn’t get one past Rehkop and the defense. Snow Canyon took a total of 30 shots, but only 11 of them were on target. Cedar took six shots, four of which were on frame. In the first overtime period, both teams had opportunities to score, but just couldn’t finish. The second overtime started and two poor goal kicks kept the ball near Cedar’s goal until SC’s Max Kemp got one through. Snow Canyon will face Pine View next on Tuesday at 7:30 p.m.
Cedar will travel to Dixie High School to take on the Flyers Tuesday at 7:30 p.m.
Dixie won in dramatic fashion Friday as the only goal was scored with less than two minutes left in the game. Dixie’s Oscar Quintero scored the goal, while Jose “Tauri” Morales got the assist. Bridger Wright and Kieran Atkin played a half each in the goal and split the shut out. Dixie will play host to Cedar Tuesday at 7:30 p.m.